Is Hillary Clinton Gearing Up For Another White House Run? It’s possible Hillary Clinton will make another run for the White House. Since losing the 2016 race to President Trump, Clinton remains in the public spotlight through speeches and media interviews. The latest sign is a recently announced 13 city tour with husband former President Bill Clinton in conjunction with Live Nation. In addition, former Hillary Clinton advisor Philippe Reines pushed Hillary’s attributes for another run for the White House while not closing the door on the idea. Not everyone is so bullish on another Clinton presidential campaign. The Daily Beast criticized Clinton. Tarana Burke, who started the #MeToo movement, criticized Clinton over her defense of her husband’s sexual encounters with Monica Lewinsky. 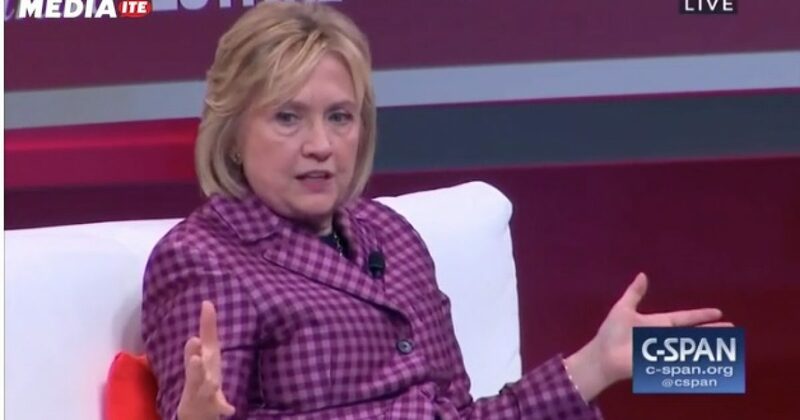 The founder of the #MeToo movement strongly disagreed with Hillary Clinton’s recent statement that her husband did not abuse his presidential power when he had an affair with a White House intern. All the evidence points to Hillary running again and that’s great news for Republicans.